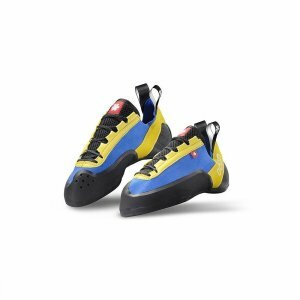 Crest means comfort in Czech, so this is a great shoe to climb in all day and is perfect for beginner climbers. 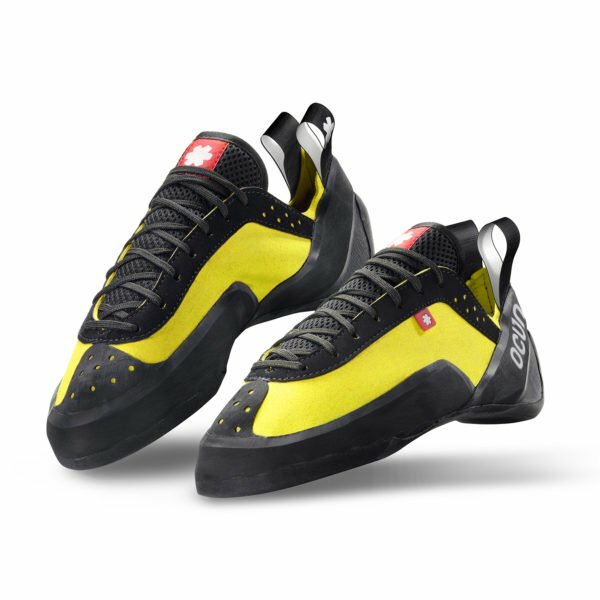 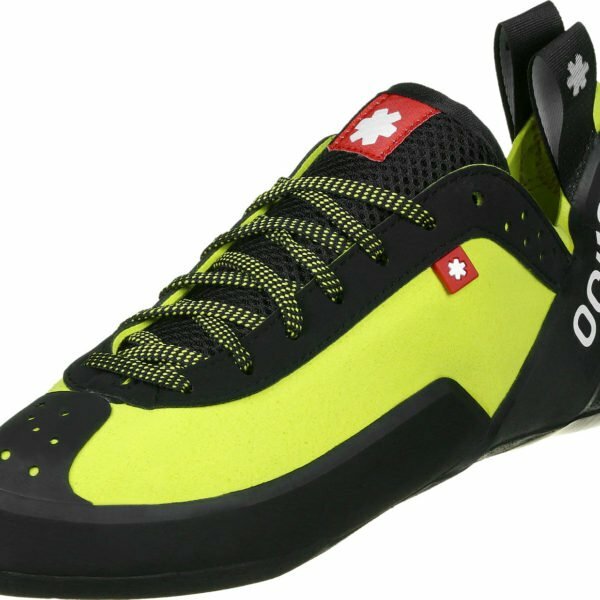 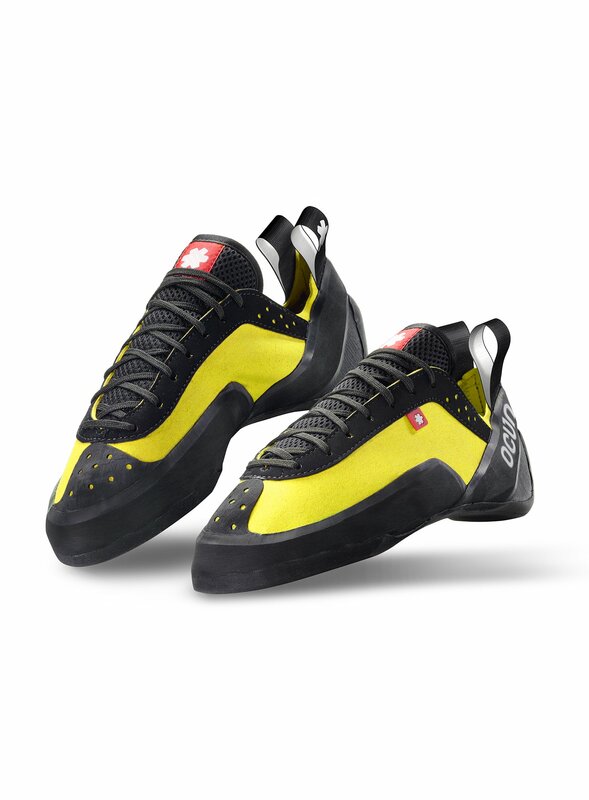 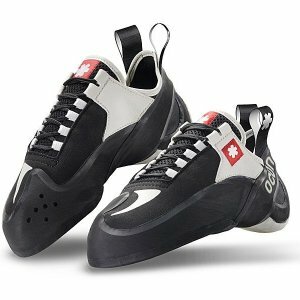 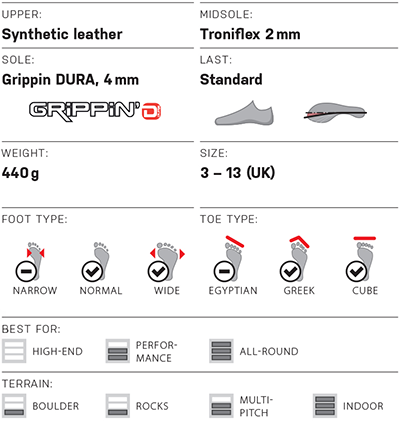 The shoe is very straight and almost has no asymmetry, the lace up system give a precise and snug feel when climbing. 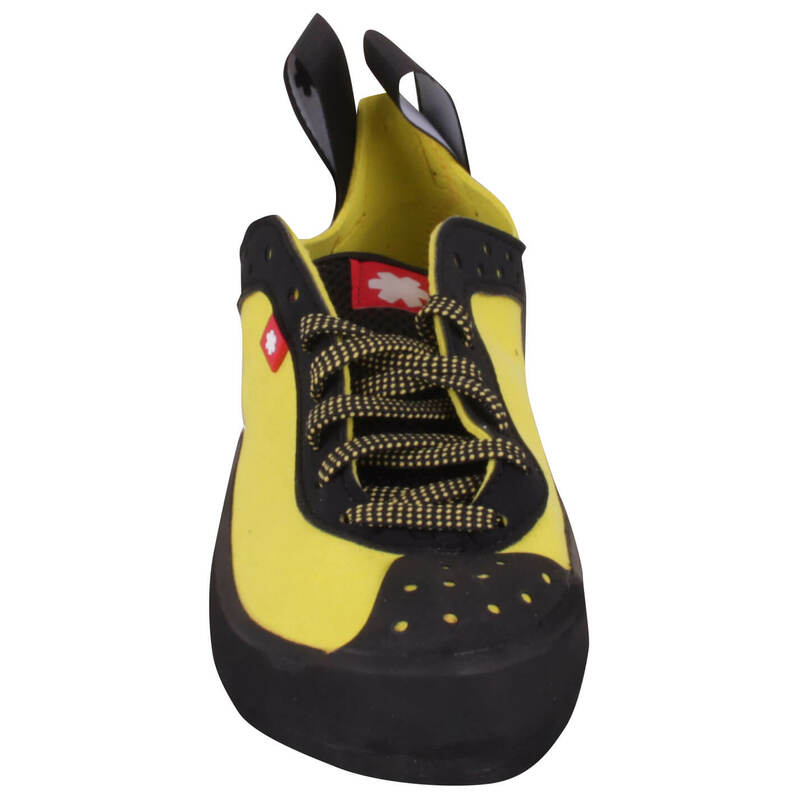 It has a durable sole rubber that will tolerate rough treatment. 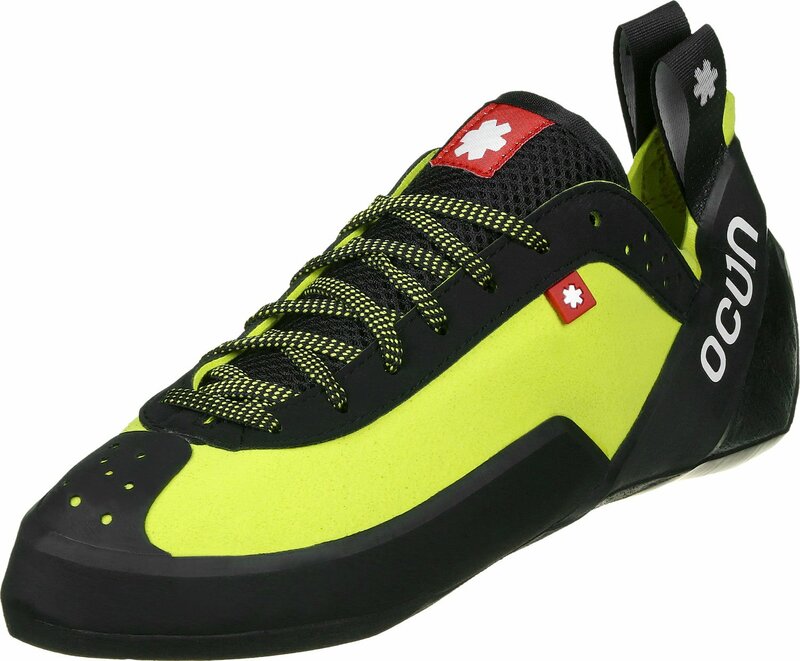 Ocun Crest shoe sizes are loose fitting and we recommend going one size down from your street shoe size for a better fit.